Up until recently I had remained neutral in my position of a Young Earth verses an Old Earth view. Since it's not a fundamental Biblical doctrine pertaining to salvation, I didn't take sides in the issue; however, I can no longer remain neutral. I'm generally slow to figure things out, and it took me awhile to see the truth, but I clearly see it now. After reading this article I am confident that you will too. Basically, proponents of an Old Earth view believe that the earth was created by God—did not evolve—has existed for millions (if not billions) of years—and that the human race is young, having only been in existence for 6,000 years (since 4,004 BC). Dr. Curtis Hutson (1934-1995) and Pastor Harry A. Ironside (1876-1951) believed this and so do I. This is often called the 'Gap Principle' (that is, a time gap between Genesis 1:1 and 1:2). However, I do not, nor have I ever, believed the bogus fraud of Evolution. Nothing has evolved. Proponents of a Young Earth (i.e., Ken Ham, Henry Morris, Kent Hovind, John Whitcomb) regularly (and very dishonestly) portray Old Earth supporters such as myself as believing Evolution, using legitimate arguments against the lies of Evolution in a wrongful and unscholarly attempt to discredit the legitimacy of an Old Earth. The Bible teaches a very old earth, millions and likely billions of years old. I realized recently that the unsaved world laughs at Christians who hold to a Young Earth view, in particular concerning the matter of dinosaurs. It discredits a preacher when he goes against legitimate science, because most people are thinkers and they know bogus teachings when they hear it. 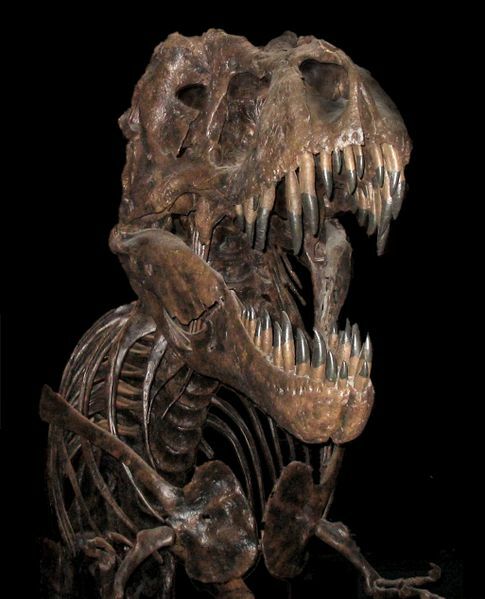 It is simply absurd to claim that dinosaurs roamed the earth 4,000 years ago. 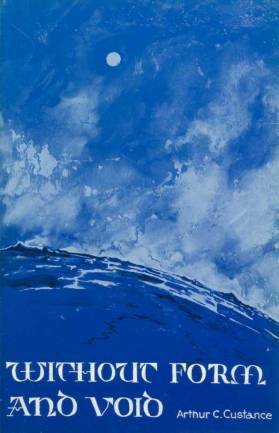 The Young Earth Creation Movement: Deceiving Their Followers For Over 40 Years! Ken Ham of AnswersInGenesis.org .org teaches that Noah brought dinosaurs onto the ark and they survived the flood. Mr. Ham erroneously claims that all the dinosaurs died off from lack of food, being killed by man, and other environmental factors. This is absurd. Biblically dinosaurs never lived amongst mankind. There are over 200 varieties of animals mentioned throughout the Bible, and no mention is ever made of a dinosaur. The Hebrew word “behemoth” in Job 40:15 is plural and refers to a herd of Elephants. Elephants have tails that swing like cedar tree branches. Christianity is NOT a business, but that is how it is done in America. Here's The True Agenda Behind Ken Ham's Noah's Ark Theme Park; They Laugh, 'Ha, Ha, Ha!' It's their lucky pot-of-gold! The flood of Noah's time mentioned on Wikipedia.com is estimated to have happened around 2348 BC). Very few Christians know how to reconcile the reality of dinosaurs and science with the Genesis account of creation in the Bible. Well, now you can KNOW the truth about the matter and explain it to others. The earth is indeed very old; but humanity has only been here since about 4,004 BC. Please continue reading and you will learn. I heard actor Matt Damon make a comment about potential U.S. Presidential candidate Sarah Palin in 2008, implying that he would never vote for someone who believes that dinosaurs roamed the earth 4,000 years ago. Can you blame him? I have a problem with that claim myself. Albert Einstein said, “Religion without science is blind.” 1st Timothy 6:20 warns us about “science falsely so called” (such as the lies of Evolution); however, if we also reject legitimate science in ignorance, then we only discredit ourselves as preachers. It's important that preachers be scientifically correct as well as Biblical correct if they want people to respect their opinion and listen to them. Dr. Henry Morris of the Creation Research Institute (CRI) teaches a young earth view (as does Dr. Kent Hovind, whom I tremendously respect and admire for his uncompromising stand and battle for what he believes). Dr. Curtis Hutson and Harry A. Ironside believe in a pre-Adamic creation when dinosaurs roamed the earth, and so do I. Dr. John R. Rice however believed in a strict 6-day creation and taught that the universe did not exist in any way prior to Genesis 1:1. 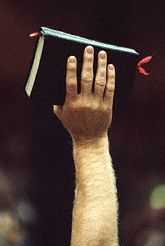 There are many faithful preachers who believe both views. Albeit, the truth is the truth. You can even find the word “old” in Psalms 102:25, “Of old hast thou laid the foundation of the earth: and the heavens are the work of thy hands.” The issue is hotly debated, some even attacking the salvation of others who disagree. I think that is very wrong. The following chart of world population speaks volumes. There is no debate concerning the time of mankind's civilizations. The earliest records reveal that Egypt was the first world power. Then Assyria, Babylon, Medo-Persia, Greece and lastly Rome in Christ's time. The next and final world power is the presently forming World Government, aka, the New World Order. Clearly, we are living in the End Times as prophesied in the holy Scriptures. The world has changed more in the last 25-years than it has for the previous 5,975 years! Think about that. Ninety-percent of history's population are alive today (look at the above graph). We are living in strange and fearful times of Biblical prophecy unfolding (and we're all a part of it, making history). My friend, have you been born-again? Do you know 100% certain that if you died this moment that you would go to Heaven to be with the Lord? YOU CAN KNOW FOR CERTAIN! The reason why you can KNOW that you are going to Heaven is simply because salvation is a matter of God keeping His PROMISE to save those who believe the gospel, and not a matter of how good we are being or the things we have done. We have no part in the salvation which God offers to mankind, except to “BELIEVE ON THE LORD JESUS CHRIST” (Acts 16:30-31). You and I are dirty sinners, guilty in God's eyes, deserving of punishment in the fires of Hell. But thanks be to God for sending His only begotten Son, Jesus Christ, into the world to pay for our sins by shedding His precious blood on the cross. Jesus paid a debt that He did not owe, because we owed a debt that we could not pay. JESUS PAID IT ALL!!! Isn't that awesome! If you want to be saved, then just receive the gospel as full-payment for your sins. Make that your sole hope for Heaven. Christ died, that's history; Christ died for me, that's salvation! Receive Christ's death, burial and resurrection as payment for your sins right now and you will be born-again immediately, irrevocably and eternally!!! It's not what you're doing that gets you to Heaven, it's where you're looking (Isaiah 45:22). LOOK TO JESUS!!! It needs to be considered that a Young Earth view drives people away from the Gospel. As much as I admire Dr. Hovind, his Young Earth views give his enemies credible ammunition to discredit his correct teachings in the eyes of intelligent people. Matt Damon is serving the Devil with his life, but he's no fool. I completely understand his frustration with the idea that dinosaurs roamed the earth 4,500 years ago. Kent Hovind is correct about evolution, but wrong about the age of the earth. The Bible says that Satan blinds the MIND of unsaved people, to hinder them from recognizing the Gospel (2nd Corinthians 4:4). A thinking person with a college degree won't listen to anyone who thinks that dinosaurs lived 4,500 years ago. 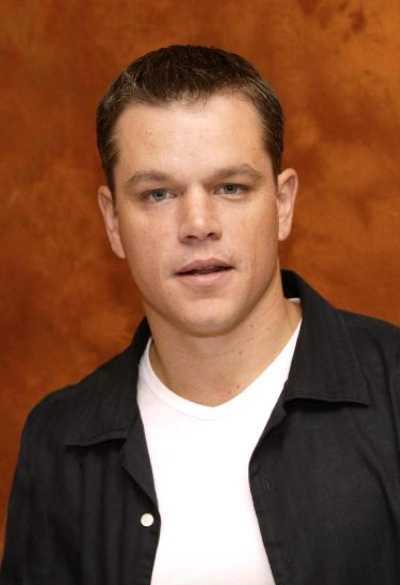 Matt Damon is proof of what I am saying. I agree with him. "Therein lies the gap theory’s greatest error, the placement of sin and death prior to the existence of Adam. If death existed prior to Adam’s sin, then how could it be the result of sin?" SOURCE: The Truth About Evolution; Or, Don't Let Satan Make A Monkey Out Of You, by Dr. Max D. Younce; pg. 101. That's fascinating! My friend, the Hebrew evidences that God did not make the world void; but rather, something chaotic caused it to become that way. The Hebrew word in Strong's Concordance for the first “was” in Genesis 1:2 means “to exist, that is, be or become, come to pass.” God created the earth in Genesis 1:1 and then it became without form, and void in Genesis 1:2. What happened? Lucifer, that's what! Dr. Younce goes into this doctrine in chapter 10 (page 85). The human race is indeed only 6,000 years old and the advancement of civilizations (languages, inventions, medical, industry, et cetera) clearly evidence this fact. However, the earth is very old. I have no problem with scientists estimating that the universe is 12 billion years old. It may be for all we know. What I do know is that the Hebrew shows in Genesis 1:2 that the earth which God created became without form, and void and dark; and darkness was upon the face of the deep. The Bible says God's Word NEVER returns void. Isaiah 55:11, “So shall my word be that goeth forth out of my mouth: it shall not return unto me void, but it shall accomplish that which I please, and it shall prosper in the thing whereto I sent it.” Everything that God has ever created is good. Only sin destroys good. God never created a devil. God never created a fallen man. God never created an earth that is void.